The cooperation of Papiertheater Nürnberg and Tanztheater DE LooPERS Breme gave life to an unusual blend between dance and substance aesthetics. A paper roll rolls on stage – it is a path, no, a rope, it becomes a newspaper, is folded twice, it is a scarf, a mirror, is knotted, now it is a human being, rather two! All these things come into existence in front of the audience, but still you see more than just what you see. 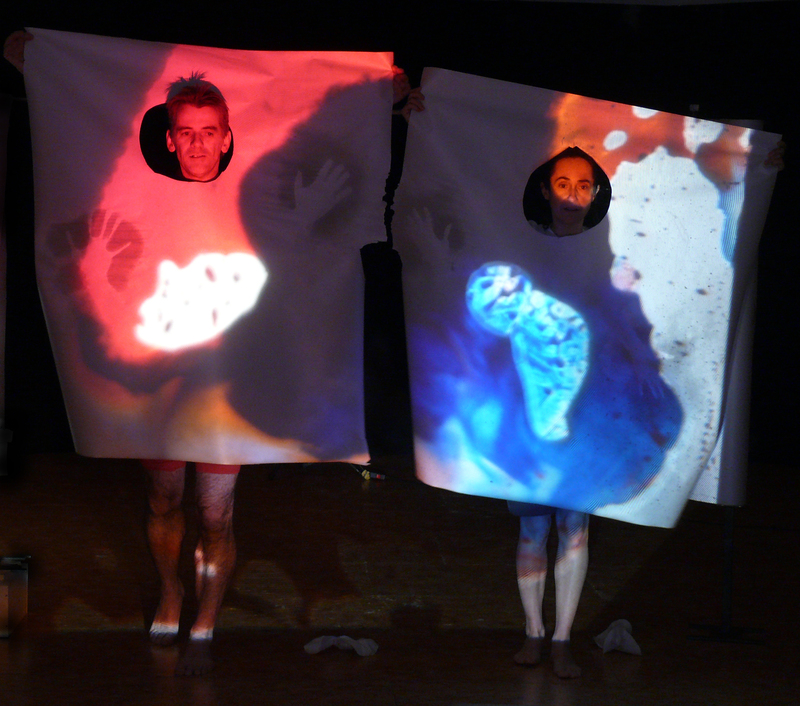 The guiding idea in developping this stage production was Plato’s Cave Allegory. Images and scenes were found that started to have a life of their own. 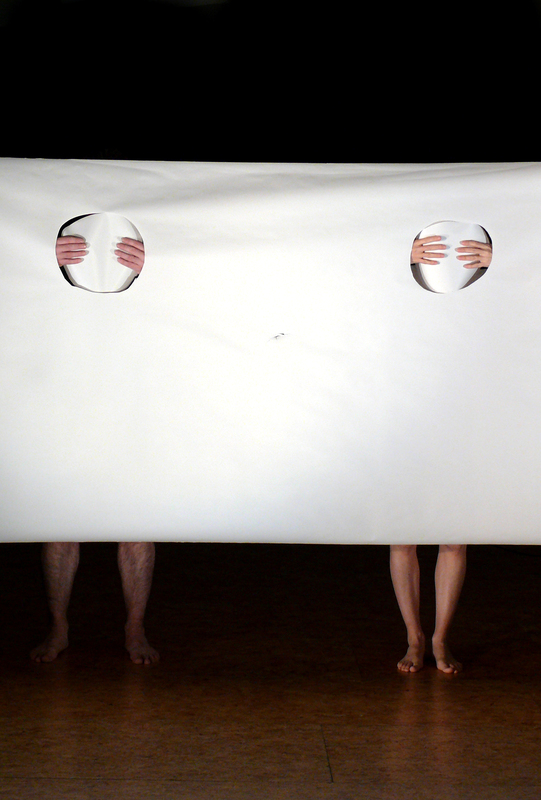 It is a play in images and silhouettes, a play all about the question – what do I see? 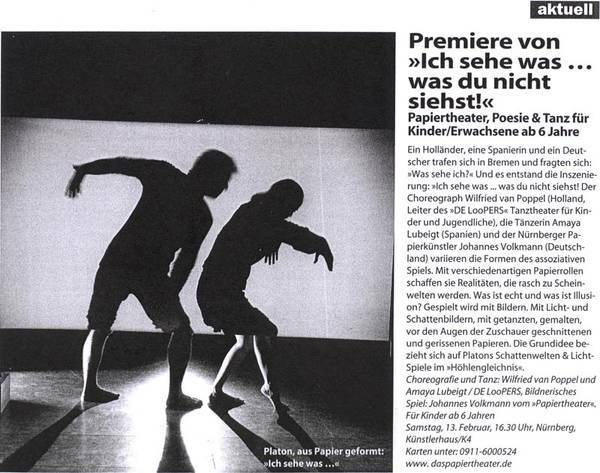 The Papiertheater has been performing its very visual productions all over the world, with great joy.